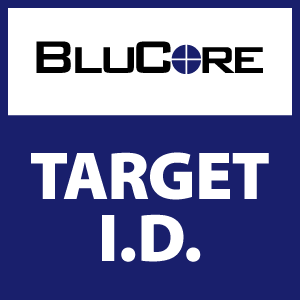 BluCore’s new Target ID class has been developed to give participants the ability to identify and engage targets if they need to use their firearm for self-defense. This class will demonstrate the challenges involved with properly identifying a threat and the steps in employing an appropriate response while under mental and/or physical duress. Geared towards both new, as well as experienced shooters, this class will cover situational awareness, the difference between being prepared and being paranoid, and how to properly quantify a threat. We will also discuss steps to be followed before and after shots are fired. The class will start with approximately 90 minutes spent in the classroom and then the remainder of the 3-hour class spent on the range, executing firearm drills designed to introduce mental stress to help familiarize students with the challenges of using a firearm in the real world, stressful conditions. After the range training has been completed, there will be a brief classroom session to discuss the student’s performance during the drills. This course does NOT meet the training requirement to obtain a Colorado Concealed Carry permit and does not cover the assembly, disassembly or cleaning of a firearm. Requirements: Previous firearms experience is recommended. Fundamental pistol training, such as our Pistol I class is HIGHLY recommended. 100 rounds of ammunition.